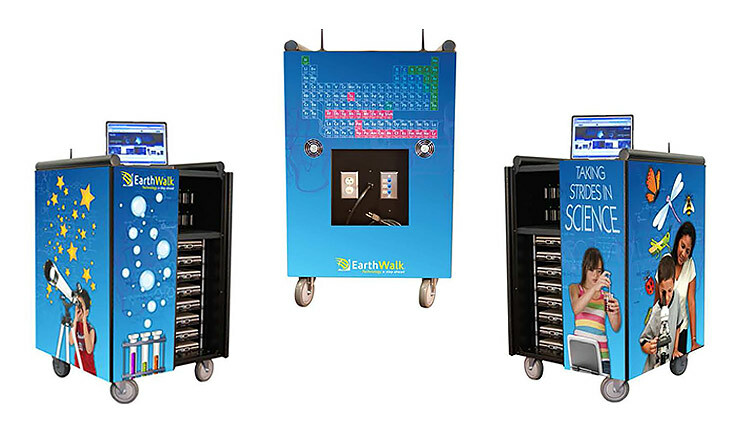 EarthWalk offers a variety of tablet charging carts and lab solutions that can be customized for your specific device and classroom needs, providing secure storage and charging. 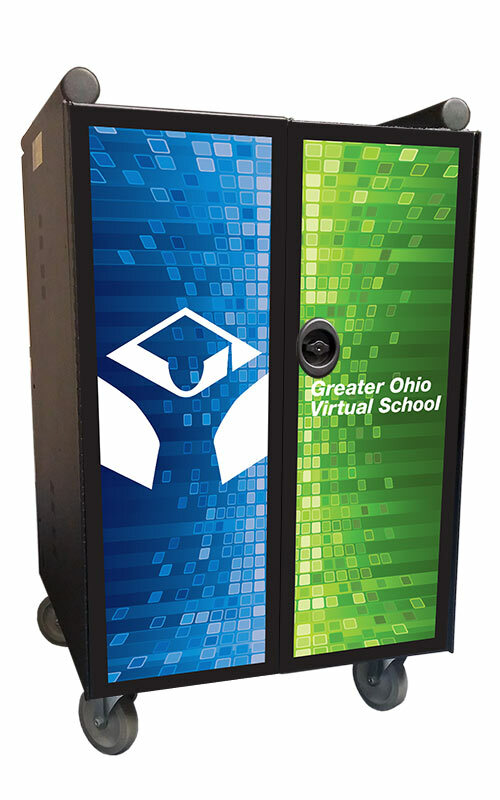 Over the past few years, the education community has succeed in obtaining the 1-to-1 computer-to-student ratio it has sought for many years. 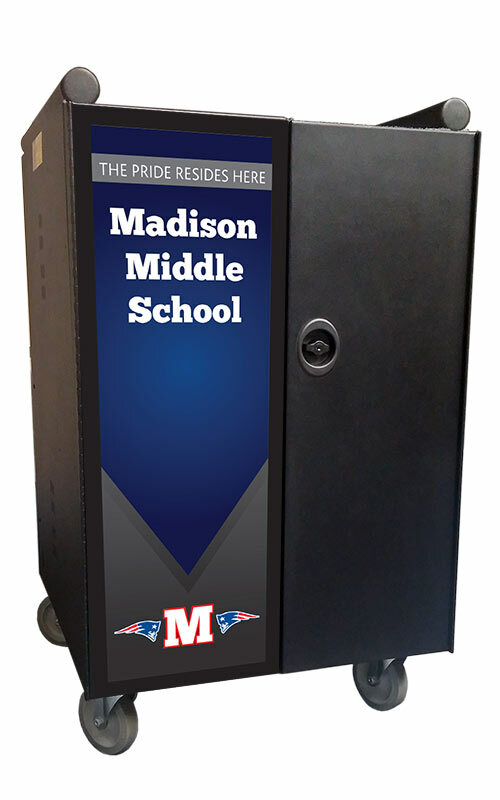 Whether IOS-, Android-, or Windows-based, multimedia tablets play a major role in achieving this goal. 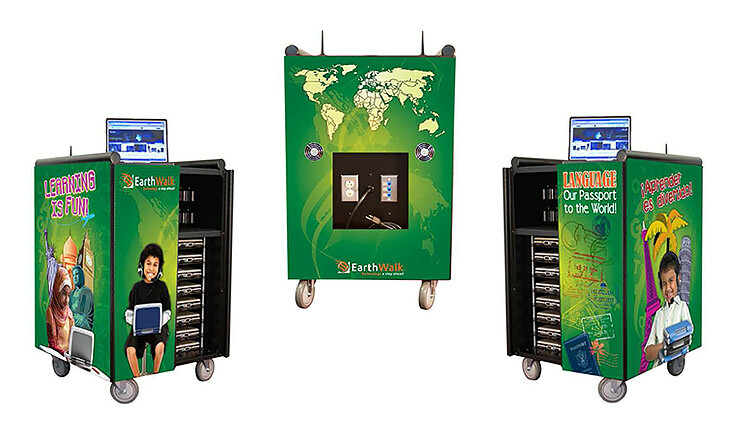 EarthWalk carts are built to last, with welded-steel construction, durable wheels, locking front and rear access doors and a variety of charging options. 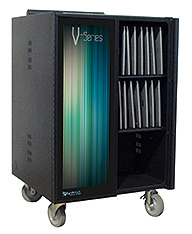 Need a mobile solution for your tablet storage and charging? 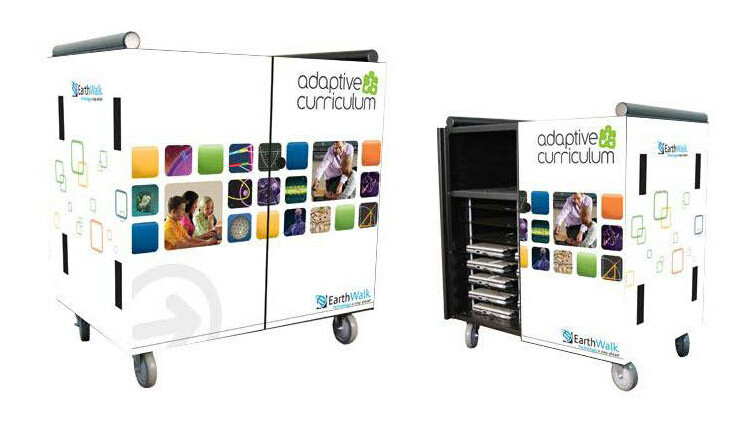 Choose from EarthWalk’s wide selection of tablet carts. 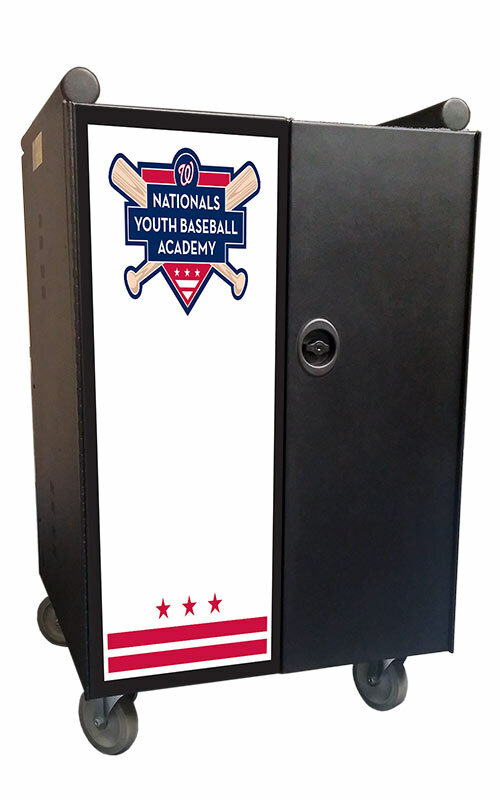 Dozens of custom-built styles, brands and features are currently available. 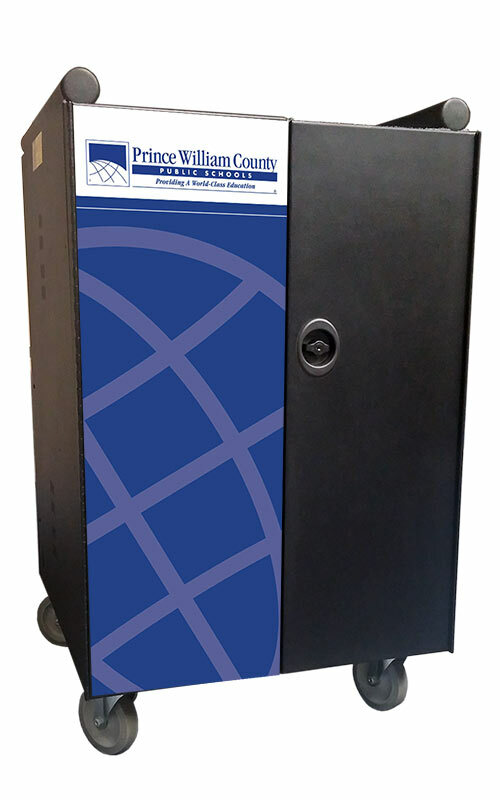 High-Efficiency Charging Systems | Pre-wired, “Adapter-Free” device charging systems that not only reduce your electrical cost of operation, but save you time in deployment. 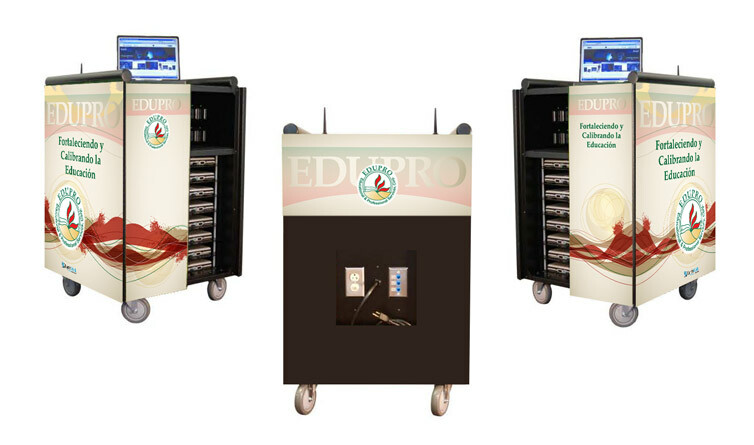 These advanced charging systems also free up your devices’ AC adapters and can be used outside the cart whenever and wherever they may be needed. 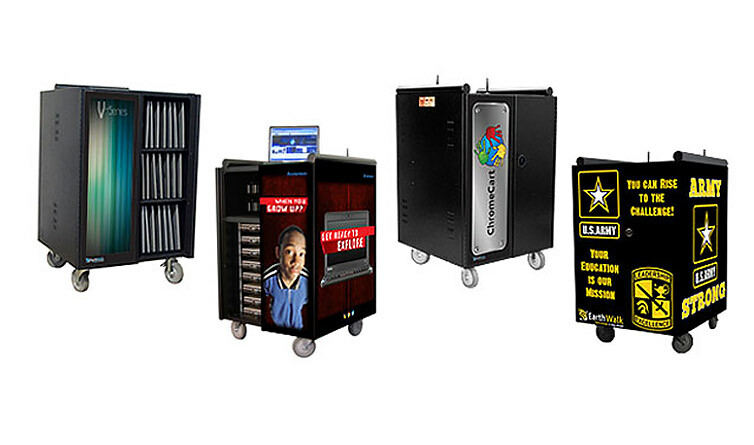 Caster Upgrades | Your mobile carts can be customized to fit your specific needs. 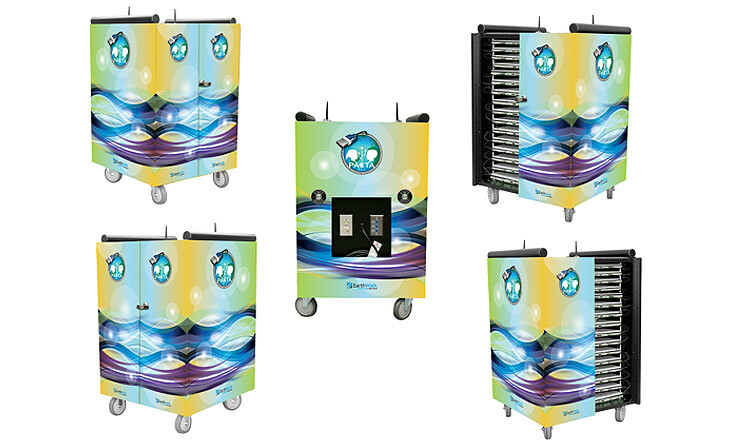 EarthWalk offers a full selection of industrial-grade casters featuring larger sizes, locking mechanisms and more durable materials. 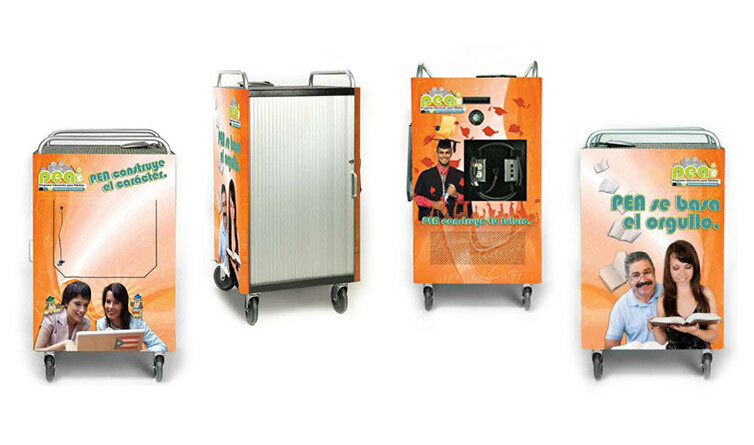 Let your solution specialist help select the “Glide & Ride” that is perfect for you. 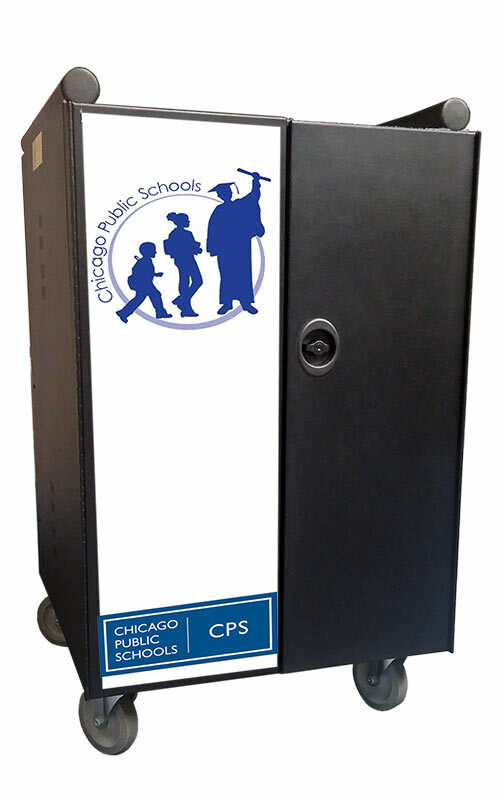 Storage Bins | Provide additional secure storage for headphones and peripherals or use to deploy your Chromebooks in different areas or classrooms. 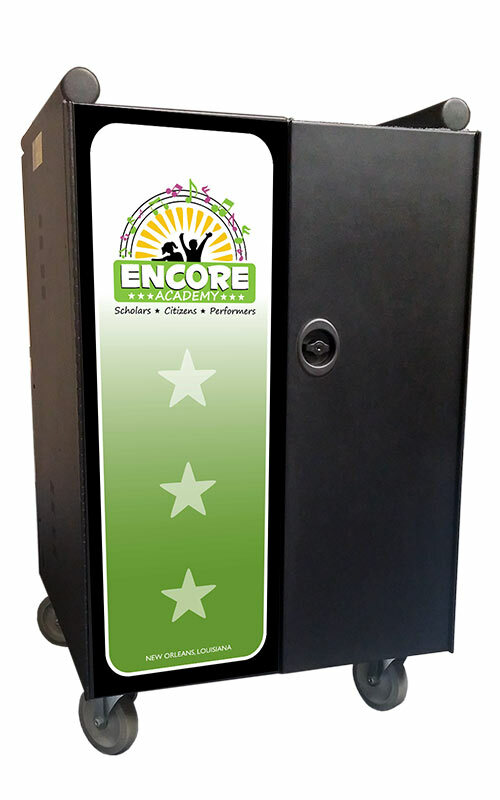 Molded from strong, durable, industrial-grade polymers, Super-Size ChromeCart Bins are resistant to acid and alkali spills. 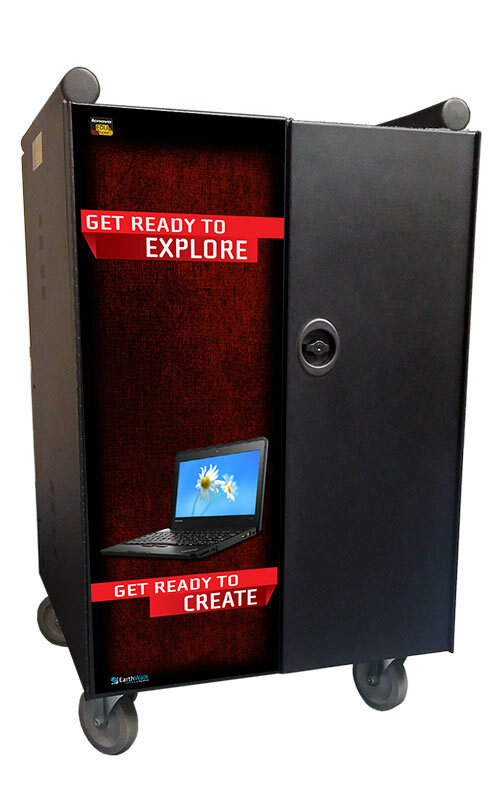 Sturdy, one-piece construction is water-, rust- and corrosion-proof. 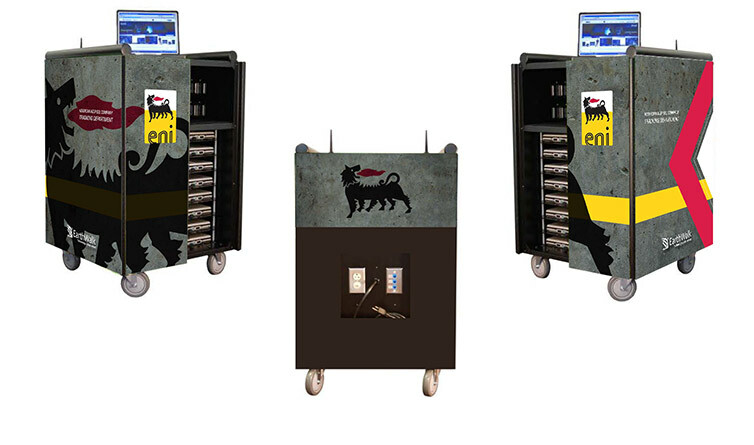 Color choices: Royal Blue, Red, Yellow. 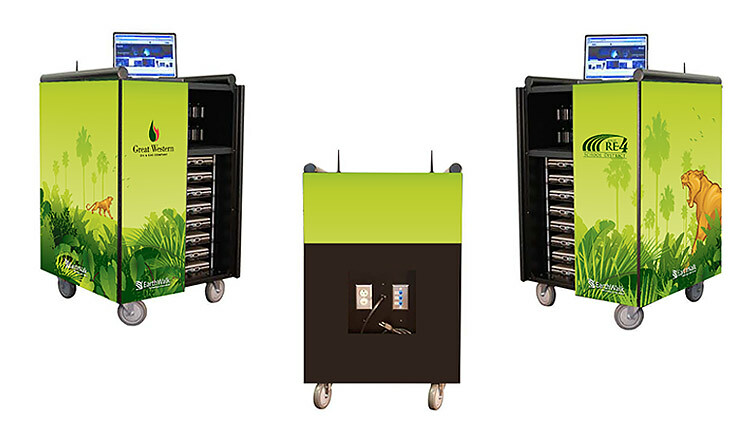 Anti-Static Kit | Help eliminate static electricity build-up and provide better “grounding” for your cart in dry, arid climates. 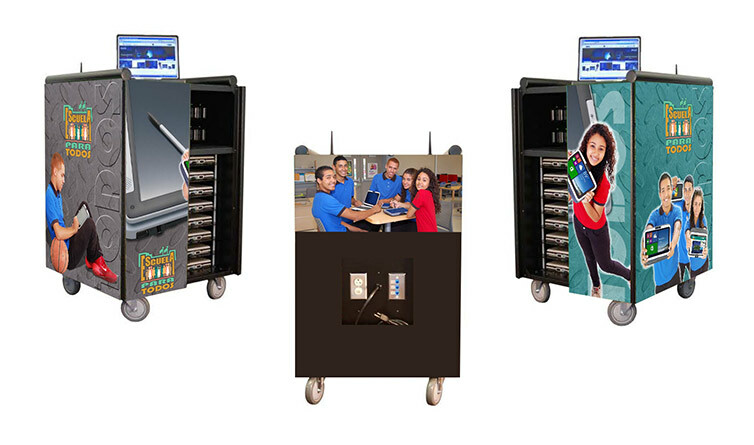 These versatile magnetic assemblies have attached grounding chains and can enhance any EarthWalk mobile cart. 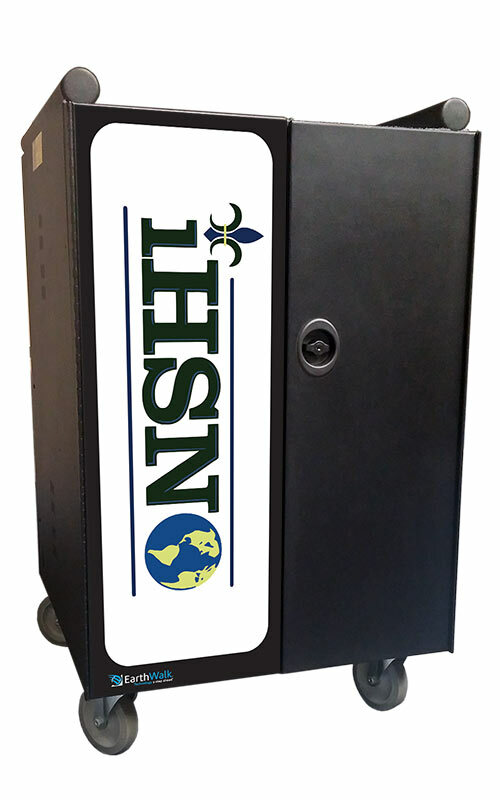 iSoft Shelf Liners | Provide extra padding and protection for your computing devices with the EarthWalk iSoft shelf liner system. 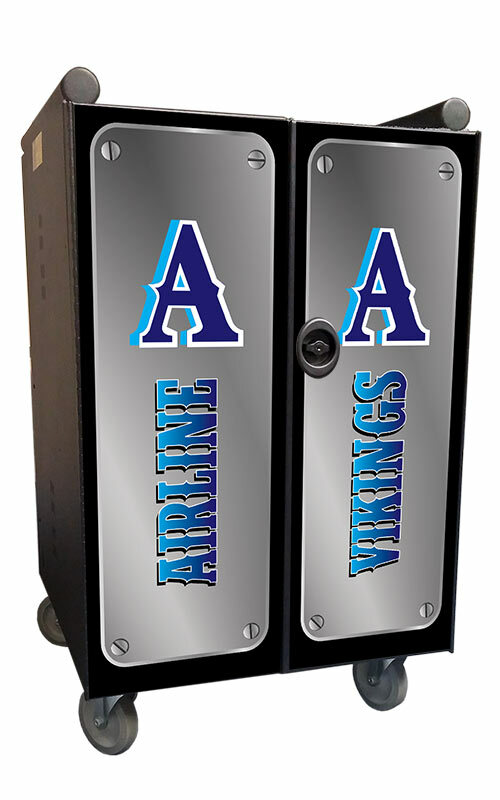 Includes adhesive-backed, industrial-grade felt lining and custom installation. 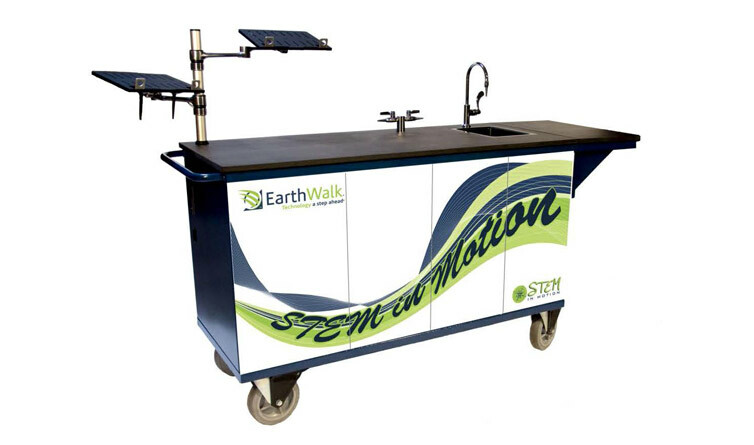 Available for any model of EarthWalk lab system. 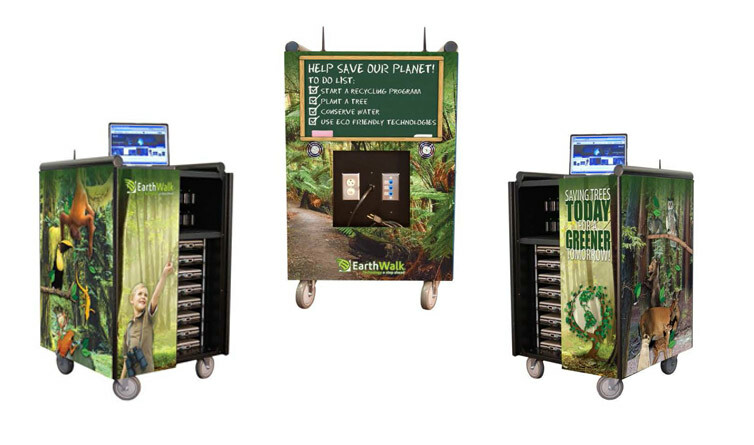 Anti-Theft Security Systems | EarthWalk carts can be customized to include additional locking and anti-theft systems. 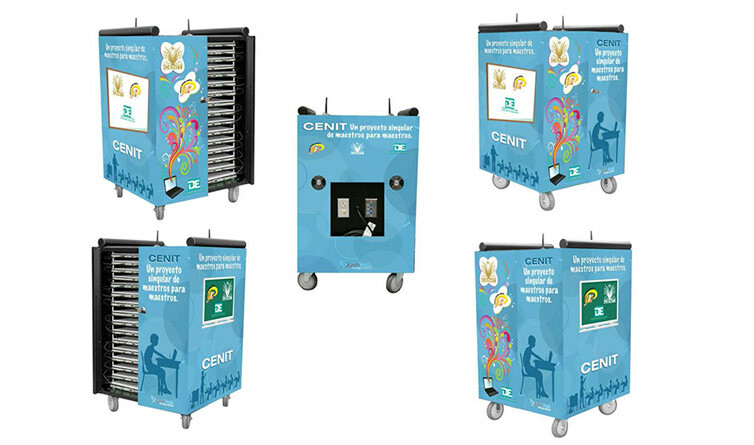 If advanced security is a concern for your district, let your EarthWalk solution specialist assist you in designing the lab that can provide you piece-of-mind by protecting your IT investment. 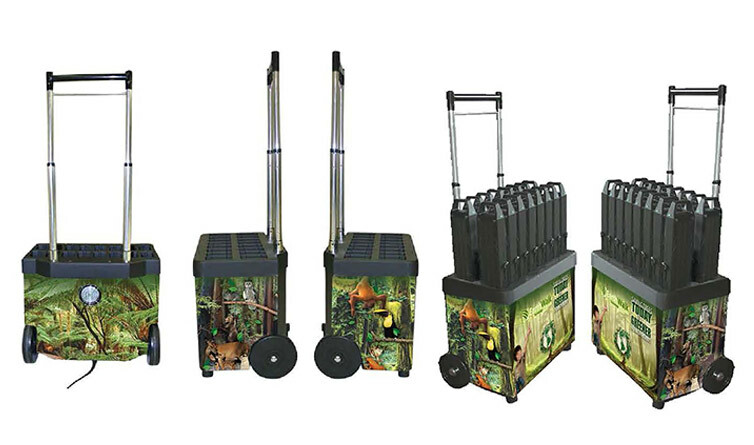 Cart Art | Customize any EarthWalk cart or lab by incorporating a unique decal or total graphic wrap design using the same durable adhesive vinyl that is typically used in automobile branding/wraps. 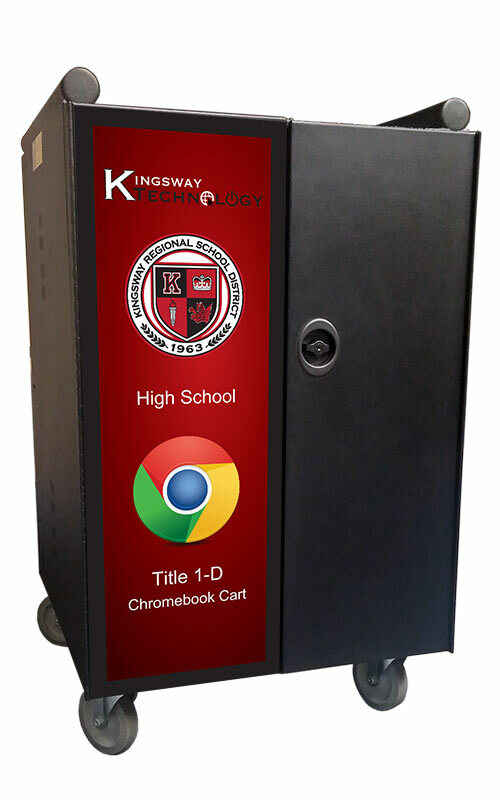 Display a world map, periodic table, historic timeline and figures, etc. 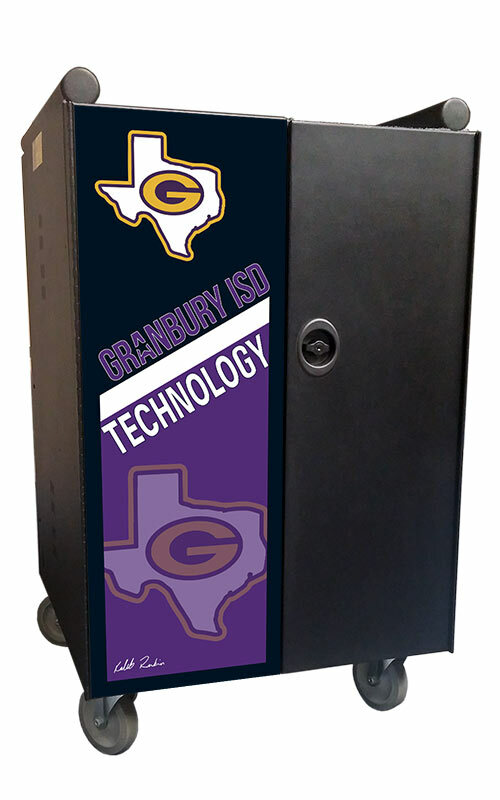 NOTE: Accepted graphic files need to be large, high-resolution graphic formats (preferably Adobe Illustrator vector files) suitable for print. THIS WEB LINK has a really good explanation of graphic files and how gifs and pngs can not be used for print.